Top 10 Nigerian Celebrities Who Were Born Rich (Don’t Dare Number 1 &amp; 3) Here is a list of popular Nigerian celebrities who came from a wealthy home. Trust me, these 10 celebrities will wow you. Homethese 10 celebrities will wow you.DavidoTop 10 Nigerian Celebrities Who Were Born Rich (Don’t Dare Number 1 & 3) Here is a list of popular Nigerian celebrities who came from a wealthy home. Trust me, these 10 celebrities will wow you. Top 10 Nigerian Celebrities Who Were Born Rich (Don’t Dare Number 1 & 3) Here is a list of popular Nigerian celebrities who came from a wealthy home. Trust me, these 10 celebrities will wow you. Very few celebrities are usually from wealthy homes, but there have been quite a few Nigerians who have been able to become popular celebrities despite their wealthy backgrounds. 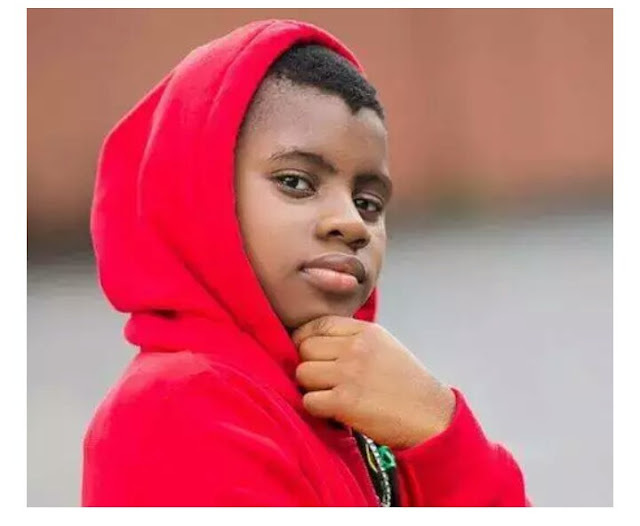 8-year old music wonder, Ozzy Bosco is a music sensation that has collaborated with several a-list artist such as Olamide and others. 8 year old precocious music sensation, Oziomachukwu Favour Mojekwu, better known as Ozzy Bosco starts off our list. The rising celebrity has done music collaboration with the likes of M.I and Flavour and has just as much class as the top Music Stars in Nigeria. He has performed for the likes of Deputy Senate President, Ike Ekweremade, Speaker Lagos State House of Assembly, Hon. Adeyemi Ikuforiji, and other top crème de la crème in Nigeria. His mother, Elizabeth Nonye Mojekwe is a successful and influential multinational business woman affiliate with various companies. Here is a list of popular Nigerian celebrities who came from a wealthy home. Trust me, these 10 celebrities will wow you. Waliyah is an emerging Afro-Pop singer, performer and songwriter. She recently made waves in the entertainment scene in Nigeria with her unique brand of music. She is the daughter of the revered late M.K.O Abiola. This glamorous upcoming pop-star is royalty. Prince Adetona Adeyemi, stage named Tilaman has done a hit single titled “Ko ma roll” wherein he featured stars like Iyanya, Ice Prince, Burna Boy and Phyno. He is the son of His Royal Highness, Oba Lamidi Olayiwola Adeyemi III, the Alaafin of Oyo. Rita Dominic is a fascinating Nigerian actress and singer considered to be the Most Outstanding Actress (The City People Awards, 2004). She was born into the Royal Waturuocha family of Aboh Mbaisu region in Imo State, Nigeria. Sidney Onoriode Esiri, popularly known as Dr. Sid is a Nigerian singer, songwriter and dentist. He is signed with household name’ record label, Mavin Records and has made hit songs still charting top in the Nigerian music scene. His mother is a successful fashion designer and his father is the deceased veteran Nollywood actor, Justus Esiri, who was a Member of the Order of the Niger (MON). Dapo Daniel Oyebanjo aka D’Banj or fondly called the Koko Master is a dazzling Nigerian music star who has bagged music awards like the MTV Europe Music Awards 2007, for Best African Act,MTV Africa Music Awards 2009, for Artist of the year, et al. He is the son of Colonel Daniel Duro Oyebanjo, a Nigerian Military Officer who commanded an artillery regiment. Chukki Edozien popularly known as Lynxx came into the music scene in the last quarter of 2009 in grand style, releasing his first single “change your parade” and went on to release another hit song “fine lady”. He is the first Nigerian artiste to be endorsed by global brand, Pepsi. His father, John Edozien is a corporate tycoon, being the Chairman of a number of Nigerian Companies including Jenkyns Consult Nigeria Limited and Mercedes Benz Automobile Services Limited. He also serves as Director of Linkage Assurance Plc and Diamond Bank plc since 2008. Florence Otedola, better known as D.J Cuppy is a Nigerian-British entertainer, disc jocker and celebrity. She launched her new project, House of Cuppy on 8th August 2014. Her Father is Billionaire Femi Otedola, CEO Forte Oil Plc. He is also the Nigerian President and CEO of Zenon Petroleum and Gas Limited. Naetochukwu Chikwe popularly known as Naeto C, is a Nigerian rapper and record producer. He is the son of a former Minister of Aviation, Kema Chikwe, who is presently the Nigerian Ambassador to Ireland. David Adeleke popularly known as Davido is a sensational Nigerian singer and song writer, who is one of those young Nigerian artists that has swept the Nigerian entertainment scene with his outstanding hit songs. His father, Dr. Deji Adeleke is the chairman of Keplo-Pacific Energy Pacific, a company which is into banking, steel, power and energy. Davido’s father is also the founder and pro-chancellor of Adeleke University, Ede in Osun State. Davido’s uncle, Senator Isiaka Adeleke, is a former Governor of Osun State.